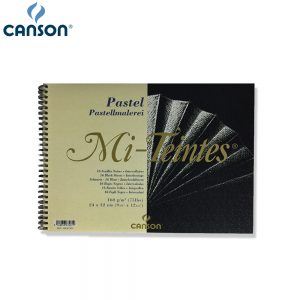 Canson® Mi-Teintes® is a pulp-dyed colour paper that has won worldwide recognition for its qualities. 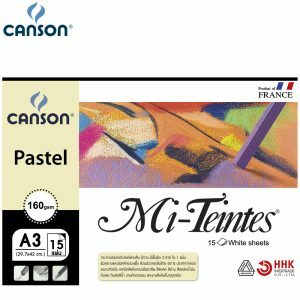 An authentic art paper: it is gelatine stock-sized which limits the absorption of pigments in order to show colours at their best. It has the highest cotton content (more than 50%) on the market, combining mechanical resistance and a sensuous feel. 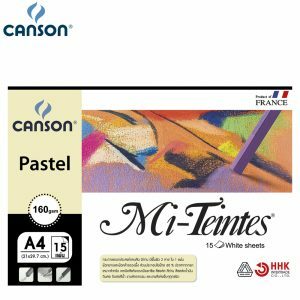 In addition to its qualities as a drawing medium, Canson® Mi-Teintes®complies with the ISO 9706 standard on permanence, a guarantee of excellent conservation. Furthermore it has the advantage of having a different texture on either side: a honeycombed side characteristic of Canson® Mi-Teintes® and fine grain on the other. It boasts the richest range of colours on the market, with 50 light-resistant tones. Recommended techniques : Ideal for fine art techniques (pastel, charcoal, sanguine, pencil, even watercolours and gouache), but also for handicrafts (folding, cutting, gluing, making cards, etc. ).